What does it take to be a dystopian? Lately the definition has shifted to include a much broader range of topics, but at its core, a dystopian is a society that appears to be all roses and sunshine but in reality it's a hot mess of social control. Generally, I find the most effective dystopians are the ones that tie back to what's happening right now in our own world. The following books were setting the dystopian stage long before the Uglies series or Delirium were even a thought. I don't think you can really make a list of dystopian classics on a YA book blog and not include The Giver. Hailed as one of the few books kids actually enjoy reading in school, The Giver has been opening the eyes of kids for over a decade. I don't know when this cover was released, but it makes the book look so much more exciting than the cover with the old man (though it lacks the nostalgia of the old man cover). 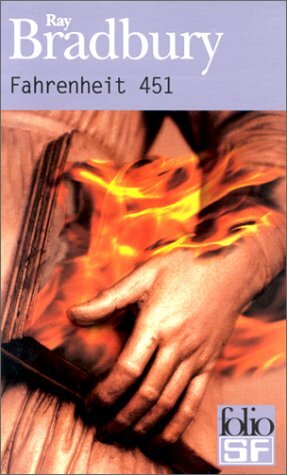 While not my favorite Bradbury book (The Martian Chronicles and The Illustrated Man are much better), I do very much enjoy and recommend Fahrenheit 451. With the perfect setup that's sure to spark anger in readers against the dystopian society (what book lover doesn't feel horrified at the idea of burning books? ), Bradbury crafts a story that calls to mind a whole host of questions. Good for discussions, Fahrehheit 451 may take place in the future, but it speaks to many concepts that we deal with right now. I've never been able to sit down and read this book cover to cover because, honestly, it's kind of boring. I have read all, or at least most of it, in bits and pieces over the years. The writing is so dry that I struggle to keep my eyes open. But...this is THE dystopian and is a must-read for any fan of the genre. You probably don't even realize how many phrases or ideas that we spit out as anecdotes or references actually originated from this book. Big Brother, newspeak, doublespeak, "We are not at war with Eurasia," the Memory Hole--this is all from 1984. What makes this book so chilling is that most of it describes things that were already happening, but just magnified through Orwell's invented technology. This is another one that's super dry, but worth reading.Whereas Orwell saw the dystopian world as a government oppressing the people, Huxley envisioned a world gone wrong as a result of vice and technology. With a cynical view of "the masses," Huxley's dystopian society is one of our own making--one that we happily embrace for its technological advancements, easy living, and extreme entertainment. Written in the 1930s, it is interesting to guess at what Huxley would have to say about our world today. 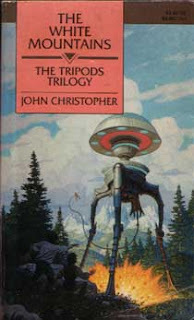 I read the first book in this series as a school assignment, but I loved it so much I sought out the sequels on my own (The Tripods Trilogy + prequel). I've read the trilogy a few times since then and it holds up every time. As you can probably guess from the cover, this one is a little different from the other dystopians on the list. Invading aliens serve as the oppressive government, but don't be scared away if sci-fi isn't really your genre. Fans of the Uglies series would probably love this story of a boy and his friends who rebel against their oppressors and fight to free humankind. Fast-paced and with characters I love, the Tripods Trilogy is not one to be overlooked. What are some of your favorite classic dystopians? Have you read any of these books? What makes a dystopian scary to you? Excellent list. I find the best dystopians are the ones where you can clearly see how our world now could end up like the worlds in the novels and it's all the more scary for that. Hmm, except Divergent. I really don't see how that futuristic society came to be but I still really enjoyed it. I've read all of them except for The White Mountain, which I've honestly never even heard of. It's too bad it was so hard for you to get through 1984, but it's such a chilling book especially the way it ends. Nineteen Eighty-Four and Farenheit 451 are my favourite dystopian books! I have The Giver with the new cover on my TBR at home and I've been meaning to read The Tripods trilogy for ages *moves them up the list. I read a really good Dystopian novel called Genesis by Bernard Beckett. It's being marketed as YA in the US but it has much more in common with Orwell's 1984. I loved The Giver and Farenheit 451. Great list. Believe it or not, I've never read 1984. I am definitely a huge dystopia fan. So thanks for the recs! Ugh...I don't like that cover of The Giver. I agree it's more exciting and appealing to kids. But I liked the elegance and uniqueness of the old man. There are sooooo many more classic dystopians than this, it's amazing. 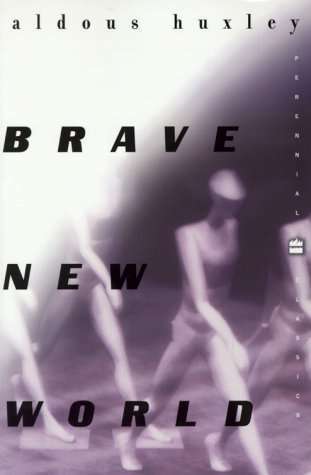 Brave New World's always been a favorite of mine, though I was surprised when I read Fahrenheit 451 and 1984 and didn't enjoy them that much. 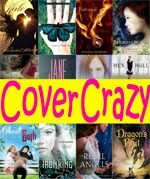 I can't believe I've read most of these books! Me that I don't like dystopia!!! *sigh* in some ways I like the classics more than the more recent ones, they seem somewhat more fresh, though I admit I read them all for school. I loved Brave New World and The Giver. Great choices! Some of my other favourites are the Barcode series by Suzanne Weyn, the Raintree series by Janet McNaughton, Uglies series by Scott Westerfeld, and Little Brotehr by Cory Doctorow. I've read them all except for The Giver and Brave New World. I thought about buying Brave New World during my last trip to my favorite bookshop, but I figure I'll get it from the library. 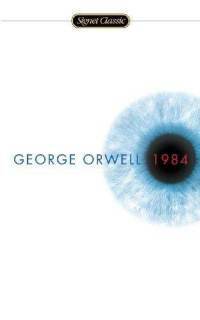 My first time with 1984 was an audiobook. The only part I didn't really care for was the reading of the book, which I believe was about the middle. I've been feeling in the mood for 451 lately, but I keep telling myself that I need to read these new books sitting on my shelf. Best part of the Tripods trilogy is getting aliens drunk, haha! My favorite dystopian is called Handmaid's tale. For 2011 I had really enjoyed Wither. What makes a dystopian scary for me is when the situation/society is believable or plausible. When I think or see that it can really happen, I get a bit frightened. I wasn't a big fan of either 1984 (very scary, but I can't really say I *liked* it or ever want to read it again) or Brave New World (I found this one pretty weird and wasn't really keen on any of the characters). I think with some dystopian books — 1984 and The Hunger Games, to name a couple — it's obvious right from the start that this is not a happy society, even though those in control claim otherwise. With others — Brave New World, Matched, The Giver — the problems with the society are far more subtle and the reader is left questioning whether or not everything in the society is truly bad. While I love The Hunger Games, I have to say I think it's this 2nd type of society that I find more interesting objectively. I've heard all of these except the last one and haven't read any except The Giver since I was never a fan of the dystopian genre. Since it seems to be getting more popular now, I've been reading a few more dystopians lately. My favourite so far has been Veronica Roth's Divergent. Great list! I've heard of most of these and I've read both The Giver (which I LOVED) and Fahrenheit 451 (which I thought was good, but not my favorite). I've started reading 1984, but I agree, it's kind of a dry read. The White Mountains sounds fantastic though, and I can't wait to try it out! As a huge fan of the Uglies series, this is right up my alley. Thanks for the recommendations! 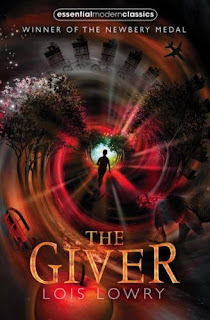 I read The Giver and was really surprised by it. My son read it in 5th grade. And I was disturbed. I guess it was my first dystopian. What about City of Ember. Is that a dystopian? Aylee, Completely agree! It’s so much scarier when you can see how our world could develop into their world. Missie, Hope you enjoy them! Some of them are really dry, but their stories are worthwhile in the end. Sniffly Kitty, The White Mountains books are sadly overlooked. I know, 1984 is excellent and I really should just sit down and read through the whole thing. It’s such a worthwhile book. Paper-Wanderer, I haven’t heard of Genesis before. I’m adding it to my TBR now, thanks! Alexis, Oh I believe it! I haven’t read 1984 cover to cover. I really should do that someday. Nic, Thanks! Hm, I wonder if The Giver isn’t as popular as a school book in Australia? It seems like every kid here had to read it for school. 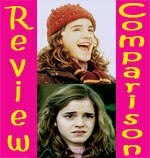 Alison, You are right, that cover of The Giver does lack elegance and uniqueness. The old man cover is one that I wouldn’t normally like, but I do. Susie, Oh yes, there are a ton! I think Fahrenheit 451 and 1984 are a lot better stories than they are books, if that makes sense. Alex, Go you! :P I do like the classics a lot more than the newer ones. A lot of the new ones don’t seem to “get” what a dystopian book should be and they aren’t scary like the classics. 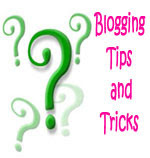 Laura, Oooh, I’ve been wondering about Suzanne Weyn’s series and Little Brother! Now I’ll bump them up the TBR. Bookish hobbit, I’d definitely get Brave New World from the library first. I feel the same way about rereading :P Haha, yes, I loved that part of the Tripods trilogy! Gina, I agree, those are the scariest dystopians for me too. I still haven’t read Wither, but I do like the cover of the sequel. Danya, I felt similarly about 1984 and Brave New World. I’m glad I read them, but I don’t think I’d reread them. I do agree, I can see value in both types of dystopians, but I do like the subtlety of the latter. Though, 1984 was based on many things that were currently happening, and the people who lived under them thought they were great. I think The White Mountains was very sci-fi lite. It doesn’t have crazy contraption descriptions. It’s much more about the characters and the dystopian revolution than it is about hard sci-fi aspects. A Canadian Girl, I’ve heard such good things about Divergent, but I haven’t read it yet. T.B., I can see you liking The White Mountains. Hope you like it! For some reason I think of The Maze Runner when I read The City of Ember. I know they came up with a few more titles after that. It was more post apocalyptic than dystopian I guess. Although I never read past City of Ember. Little one liked it in third grade. I have not read The Giver because I am a loser face. I also read The White Mountains for school! I loved it, which was a sci-fi first for me. I've never heard of The White Mountains, but it sounds awesome! My favorite is certainly 1984, but The Giver rocks. This was an awesome list.